This Mamar discusses the verse in the Parsha that describes the covenant made with Bnei Yisrael prior to entering Eretz Yisrael. The verse states that this covenant took place “on this day”. The Mamar discusses the connection between this covenant and Eretz Yisrael. 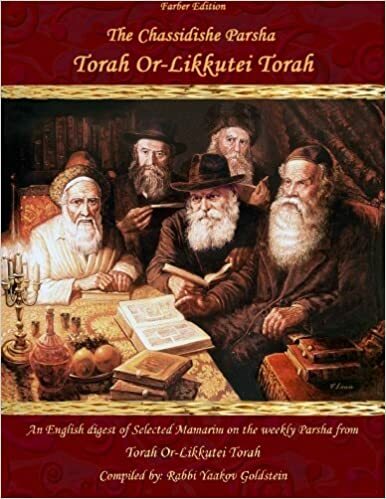 This leads into a discussion of the spiritual root of Eretz Yisrael in the upper worlds and its connection to the covenant of the Torah. The Alter Rebbe then stretches this concept likewise towards Rosh Hashanah, that every Rosh Hashanah requires a new covenant regarding the observance of Torah and Mitzvos. For this reason, the verse states “on this day,” as it is referring to the annual covenant of Rosh Hashanah. This then leads to a discussion of the entire period of the High Holidays. What is the meaning of Rosh Hashanah? What occurs on this day? What is Yom Kippur, and what is the difference between the first Luchos of Shavuos and the second Luchos of Yom Kippur? Why on Shavuos do we eat and celebrate and on Yom Kippur we suppress ourselves? Even after understanding the greatness of all these days, it still remains to be understood how one is to act on these days and the proper preparation that one should make towards this time. The Alter Rebbe thus delineates a path of Teshuvah that makes each person a receptacle to receive the Divine glory that Hashem offers each Jew during the High Holiday season. What pact was made with the Jewish people before entering Eretz Yisrael? How is the giving of the Torah, and our acceptance of it, renewed every Rosh Hashanah? Why is the NewYear called Rosh Hashanah [the “Head of the year”] and not the “Beginning of the Year”? What is the difference between the Luchos given on Shavuos and the Luchos received on Yom Kippur? The verse states, “On this day, Hashem your G-d commands you to perform these laws and statutes and you should guard them with all your heart and soul.” What is the meaning of “this day”? What day does this refer to, and why does the verse not explicitly mention it? The covenant before entering Eretz Yisrael: The previous verse concluded with the discussion of how Eretz Yisrael is a land of milk and honey. The term “on this day” alludes to the day of entrance into Eretz Yisrael, as prior to the Jewish people entering Eretz Yisrael a covenant was made, in addition to the covenant already passed in Chorev. It is for this reason that the Roshei Teivos [the first letters] of the words, “Udevash Hayom Hazeh Hashem” spell out the name of Hashem [Yud-Kei-Vav-Kei] as it is all referring to one continuous statement. 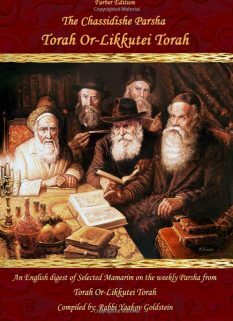 The spiritual aspect of Eretz Yisrael refers to the Torah Shebaal Peh [Oral Torah]. The reason for this is as follows: The aspect of Yisrael refers to the name Adam [there are four names of man: Adam; Ish; Gever; Enosh, with Adam being the highest of them all] as in the verse, “And on the heavenly chair sits a heavenly man”. This level of man refers to the Written Torah. However, “Eretz Yisrael” alludes to the Oral Torah. This relates to the verse, “The land that is the stool that holds up my legs”, meaning that the level of Adam, which is the Written Torah, extends and is supported by the land, which is the Oral Torah. This comes to show the greatness and root of the Oral Torah, as although the Oral Torah is invested in physical discussions of the permitted and forbidden, nevertheless it is similar to the legs of a person, which are part of him but are simply found on the lower part of his body. Furthermore, the legs even have an advantage over the rest of the body, as only the legs can carry the body to the places of its desire. 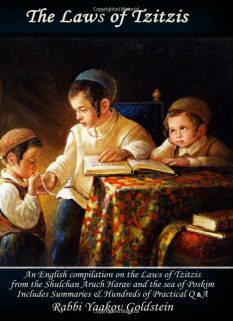 Similarly, the Oral Torah has an advantage over the Written Torah, as only it can describe and explain the details of Hashem’s Mitzvos, and without it one will have no knowledge of how to perform the Mitzvah even if he is well-versed in the Written Torah. 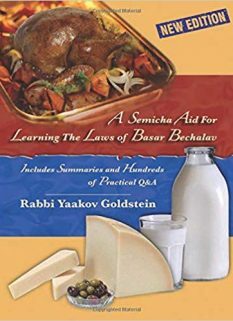 Furthermore, it is specifically the knowledge of the Oral Torah that allows one to understand the reasons behind the Mitzvos and taste the pleasure in its secrets. This is similar to a king that builds a magnificent palace, in which case it is not possible to understand the king’s wisdom until the palace is complete. Similarly, it is not possible to understand the greatness of Hashem’s wisdom without the Oral Torah. There exist three aspects of every matter: Olam, Shana, and Nefesh. This means that every matter in Torah exists in a level of Olam, in a place in the world; and Shana, at a time of the year. So, just as there was a covenant prior to entering Eretz Yisrael, so too there is a covenant that is embraced every year before Rosh Hashanah. It is for this reason that Parshas Ki Savo is read each year before Rosh Hashanah, as the words, Ki Hayom Hazeh also refer to Rosh Hashanah. Every year, prior to Rosh Hashanah, we require a renewed pact over the acceptance of the Torah, as on Rosh Hashanah we are newly commanded to fulfill the Mitzvos. Rosh Hashanah corresponds to the Oral Torah and shares the same aspects. Rosh Hashanah is the time when Hashem’s Kingship is renewed and is similar to the Oral Torah, which derives from the Sefirah of Malchus. Just as the Oral Torah represents Hashem’s will and what He desires, similarly Rosh Hashanah is the revelation of Hashem’s will, and it is for this reason that on Rosh Hashanah we receive the Oral Torah anew. It is for the above reason that the New Year is called “Rosh Hashanah” [Head of the year] and not “Techilas Hashanah” [Beginning of the year]. In the same way that a body and soul has a head, which is its intellectual capabilities, similarly the year has a “head” that serves as the leader and master over the rest of the year, as it is the pact on Rosh Hashanah that affects the rest of the year. On Shavuos, the first set of Luchos was given, while on Yom Kippur the second set of Luchos was given. The difference between the two sets of Luchos is that the first set, which was given on Shavuos, was accompanied by lightning and thunder and various external commotions. The second Luchos, however, were given discreetly, without any external show. The reason for this difference is because the two sets of Luchos represent two different forms of love between us and Hashem. One is a love from the inner part of the heart, which is called “Reusa Deliba”. The second love comes from the external part of the heart. This is similar to the two types of love that exist and are experienced between a father and child. When a child is at home, the external love between father and son is not revealed in a rapturous manner. Rather, the love remains in the inner enclaves of the heart in a calm and still manner. When, however, the father leaves home, the fatherly love [from the son to his father] becomes revealed to the outside and overflows the heart with a deep yearning and care for him. When they are together, this love is nullified to the great joy and pleasure in being within his father’s presence. Yom Kippur is similar to the world to come, which contains neither food nor drink. The reason why we fast on Yom Kippur is because it represents the Olam Hataanug [pleasure]. This is because all of Israel is elevated on this day. On this day, we break the barrier created through sin, and all the intervals that separate between us and Hashem are torn and removed. This is the meaning behind all of our sins being atoned for on Yom Kippur; that the barriers of sin are removed and every Jew is now able to fully unite with G-d. Every Jew can now experience the bliss in an attachment with their Creator without any interference. This great experience of joy and pleasure causes the love to be secondary and nullified in its presence, and it is thus considered to be Reusa Deliba. 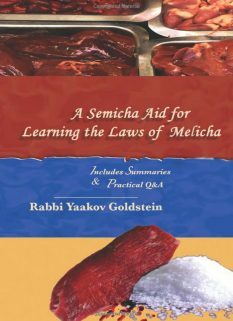 In order for a person to reach the above level on Yom Kippur, he must first perform the Avoda required for Rosh Hashanah. The Avoda of Rosh Hashanah is the service of Tamlichuni Aleichem, making Hashem King over us. On Rosh Hashanah, we must draw upon ourselves the level of Yirah, fear of Hashem, which is the awe of Hashem’s greatness, having drawn down a revelation of His Kingship. The Avoda of Rosh Hashanah is achieving a conscious reality of Hashem’s existence and the awe that we must show towards His presence. This is why we recite the blessing of Malchiyos on Mussaf Rosh Hashanah, as Hashem leaves all of the other worlds and creations and reveals His Kingship specifically over the Jewish people. The world’s first Rosh Hashanah-Zeh Hayom Techilas Maasecha: According to the above, we can now understand the verse in Tehillim that we read every Friday in the Shir Shel Yom: Hashem Melech Geius Laveish. This verse was recited by Adam Harishon, who was created on the Sixth Day of Creation. On that day, Hashem revealed His Kingship to Adam. On that day, Adam called out to Hashem: “Hashem has garbed Himself with the attribute of Malchus” and has become King over Israel. For this reason, Rosh Hashanah commemorates the day that Adam was created, even though the world itself was created on Sunday, five days earlier, as the revelation of Malchus occurred on Friday, which henceforth became the world’s first Rosh Hashanah. The verse mentioned above states that Hashem garbed Himself in Malchus. This is because becoming King involves a great descent for Hashem, and He must contract and conceal Himself within many garments until He can be called a King over us. Now, the Jewish people are compared to the moon, as just like the moon shines specifically at a distance from the sun, similarly the Jewish people, when they contemplate the distance from Hashem that has been caused by sin, their inner love and yearning to attach to Hashem begins to shine. This is why Rosh Hashanah is called Bikeseh Leyom Chageinu, as on this day Hashem conceals Himself within Malchus in order to arouse within our souls a great love of Hashem. Some people mistake Rosh Hashanah for simply being a fearsome day on which we must face Hashem with a torn heart out of fear of the decrees He may place upon us the coming year. Others mistake Rosh Hashanah for being a day of celebration, in which there is no need to focus on any matters of sin and inappropriate behavior and we should simply rejoice with our King. 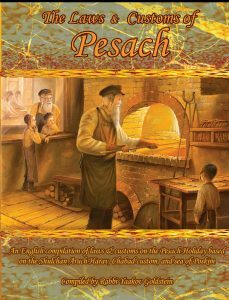 In truth, Rosh Hashanah contains both aspects. We are expected to show trepidation for Hashem’s Kingship and awesomeness, have a torn heart for our misdeeds, and beg Hashem for mercy. After we perform this Avoda, we are to then to arouse a deep yearning and passion to attach to Hashem, as this is the entire purpose of recognizing the former distance. In a relationship, it is similar to a partner who distances himself for the sake of receiving the other partner’s attention and love. When the trust of a relationship has been broken, it is not enough to simply arouse a feeling of love for the other person, but rather true remorse must be expressed to him, which can then be followed by an expression of love. Love without remorse cannot be taken seriously and does not assure the other person in the relationship that the misdeed will not be repeated and that he truly cares for their feelings. On the other hand, having remorse without expressing love afterwards does not fix the bond that was broken, nor the mistrust that was created. It may cease the friction, but it does not bring the two people closer, which is the entire purpose of the remorse. This similarly applies in our relationship with Hashem; when a sin has occurred Hashem does not simply want us to regret the sin and then continue with our lives, but wants us to also rekindle our spark of love for Him after the remorse, hence showing that we care about our relationship with Him because we desire to attach to Him. This regret and subsequent love is the Avoda of Rosh Hashanah. On Rosh Hashanah one is to focus on the personal reacceptance of the Torah and its commands. 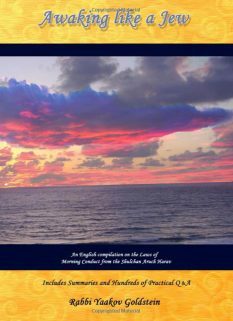 View the day as a renewal of the covenant between us and Hashem. On Yom Kippur, focus on the special relationship and closeness we can experience with Hashem. Don’t use Yom Kippur to only focus on sins and how to repent for them, but also for the experience granted by all of our sins being torn, and the barriers between us and Hashem being removed. Perform the proper Avoda of Rosh Hashanah through contemplating one’s distance from Hashem and then arousing a yearning and thirst to attach to Him, and how Hashem in turn embraces each Jew.